18 years after Sergei Bubka, another pole-vaulter has won the prestigious Prince of Asturias Sports Award – Yelena Isinbayeva from Russia. Like Bubka she is in a class of her own and defeat in the recent World Championships in Berlin is the only blemish in a career that includes 2 world titles, 2 Olympic golds and 27 world records. EuroNews spoke to her in Oviedo, just prior to the award ceremony. 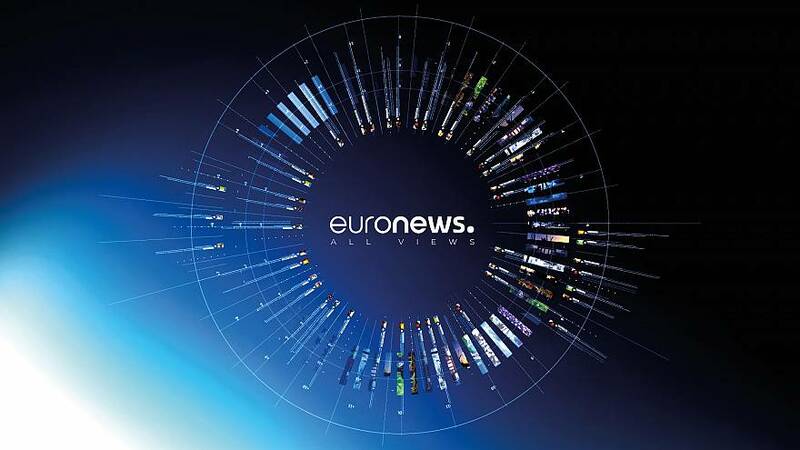 Euronews : Good evening, Yelena, welcome to euronews. Congratulations on yet another victory, and the first question is obvious: how important is this prize for you? Yelena Isinbayeva : I’m very happy to receive this award, this is a great honour. This is a recognition of my achievement, of my work and the work of my trainer, at a high and prestigious level. And I know that this prize is awarded not only for sports achievements but also for the fact that those honoured serve as an example in life and creation, for the fact that they contribute to the promotion and development of sport in the world. So, yes, it’s great. Euronews: Two and a half months have passed since your failure in Berlin. Since then you’ve set a new world record, you’ve won the jackpot in the Golden league, now you’ve got the Asturias prize. In light of your recent achievements, how do you see the Berlin disaster? Yelena Isinbayeva : I perceive it as a lesson, a very valuable lesson, as a blow, definitely, but more of a shake-up, and I’m glad it happened in Berlin and not elsewhere, during more important competitions. I could re-evaluate my priorities, I could look at the situation as if from below, not from a pedestal where I was, where people applaud you and sing your praise. I could also check the people around me – who is sincerely happy for my victories and who is pleased by my defeats. So it was an interesting perspective. Euronews: To this day nobody can approach the records set by Sergey Bubka, to whom you are often compared. Your status is very similar. But can you see someone in the younger generation who could be seen as a serious competitor to you or who could even surpass you? Yelena Isinbayeva: Honestly, it’s difficult for me to examine young girls who just start pole vaulting. I personally can’t see who is able to jump or not, we have a very complicated sport, physically and psychologically. In pole vaulting especially, though maybe in other sports too, when a person carries out a great achievement – wins a World championship, sets a first world record, – it becomes a test of weakness for them, because this person can break under the pressure. So today I cannot see if anyone’s there to challenge me. But I’m sure our children, our younger generation, while looking at me or other sportspeople, will try to break through. Euronews: Your current world record is at 5 metres 6 cm. What mark is the limit for you, what height are you ready to jump, now or in the future? Yelena Isinbayeva: You know, I never set limits for myself. And my trainer also says: jump while you can, perfect yourself, perfect your jump and you’ll be fine. But I would be happy if at the end of my career I could jump 5.20 or 5.25. I can only dream of 5.30, so let’s not even speak of it, it would be marvelous. But once again, only God knows how high you’ll jump, and it depends also on other factors: health, physical shape. You know, I’m not getting younger, and my body is worked to the limit, I’m not made of iron, I’m human. But I’ll always try to aim higher. Euronews: The same Bubka said once that if he had approached his final world record faster, and not by adding one centimetre here, another there, his record would have been higher. So he wasted some time, he thought. You follow almost the same tactics, aren’t you worried that some mark, which is realistic for you now, will later become unattainable? Yelena Isinbayeva: Of course, there’s this danger. But having learned from Bubka’s experience, with my trainer we have set out in theory, if you like, what we want my future to be like. I want to achieve my long-time goal, set 36 world records, and straight after this 36th world record to set the mark as high as I can, instead of adding the centimeters. Obviously, it won’t be 5.50, that would be a non-starter. But after this main goal, the hardest goal, we will raise the bar very steeply. Euronews: We’re in the beginning of a new Olympics cycle, and the next target for sportspeople is the London Olympic games. For you it will be the fourth Olympics, you’ve some mileage behind you. The question now is what lies next, will we see you in Rio, or will London be your final bow? Yelena Isinbayeva: I think I can say with 100 % certainty that London will be my last Olympic games , although after London I want to compete as well at the World championships in Moscow in 2013. So I’ll go to Rio probably as a VIP-guest, but not to compete. Euronews: Yelena, you’re an accomplished and successful sportswoman. Looking back 10 to 15 years in the past and comparing it to today, what do you feel? Yelena Isinbayeva: Honestly, I feel great pride. Firstly, for having always believed in myself. Nobody thought 10 to 15 years ago that I could achieve what I have done. But I always believed that something, something great would happen to me. I’ve worked hard all my life, starting with gymnastics at the age of 5 and switching to pole vault at 15. But I always had the dream of becoming Olympic champion, a renowned sportswoman. And I believed that if I wanted this badly and I worked hard, it would happen. So I can certainly say today that I’m proud of myself. I didn’t let defeats, flops – or triumphs and victories – break me. I endured all that came my way, and I’m not stoppping now. Euronews: And a last question, Christmas and the New Year are near. What are your wishes – for you or anybody else? Yelena Isinbayeva: Of course, I wish all people kindness, happiness, to believe in themselves, that their dreams come true. Because New Year’s night is a magic night. I can sincerely say that wishes you make do come true – you just have to believe in them very hard, and they’ll come true. So – lots of happiness to everybody, and let your wishes come true. Euronews: Thank you. Yelena Isinbayeva: And thank you too.